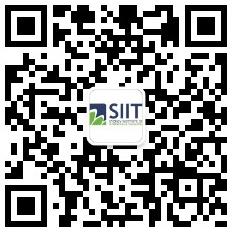 Students are encouraged to contact SIIT Marketing team for exact timetable and training arrangement. If Diploma/Advanced Diploma, is year 12 (or equivalent) required for entry? Real Estate Agent, Real Estate Salesperson, Property Developer, Restricted Letting Agent, Stock and Station Agent, Buyer’s Agent, Property Manager, Real Estate Sales Manager, Tenant’s Agent, Auctioneer. There are no formal entry requirements for this qualification. However, Learners will have to be a minimum of 18 years old to be able to work and practice in a real estate environment. For entry to these courses Learners will also require access to a computer with internet, very good computer skills to undertake self-study and assessment. Completion of the language, literacy and numeracy test at the time of enrolment. For more information please see the LLN requirements section in this Training and Assessment Strategy. This strategy has been developed for blended style training delivery, therefore Learners must attend workshops and complete activities and assessments in an operational real estate business environment such as an industry workplace or a simulated industry environment or activity. Students can apply for Recognition of Prior Learning (RPL) and/or for Credit Transfer for this qualification, and all students will be offered this option upon enrolment into the course. An RPL guide and application package is available upon request. Learners who undertake this qualification in Property Services (Real Estate) may also be adults and mature aged workers and hence they may have previous work and life experiences to draw upon and contribute towards their studies. These Learner characteristics are taken into consideration when developing the learning and assessment model for this course. Therefore, in order to facilitate a flexible approach to both learning and assessment, assessment is both formative and summative. Formative evaluation is ongoing throughout the training delivery and as agreed upon between the Learner and trainer/assessor. The form and timing of summative assessment will be discussed with the Learner at the beginning of each unit of studies. A range of assessment and evidence gathering methods and techniques are used including 2 – 4 or more methods for each unit of competency. Learners may apply for Recognition of Prior Learning (RPL) for units of competence where they may have demonstrated competency. Preferred pathways for students entering this qualification include: – Certificate III in Property Services (Agency or Operations) – Previous work experience within a real estate business. On successful completion of this qualification students may choose to undertake studies at a Diploma level (e.g. Diploma of Property Services or a Diploma in a related field).